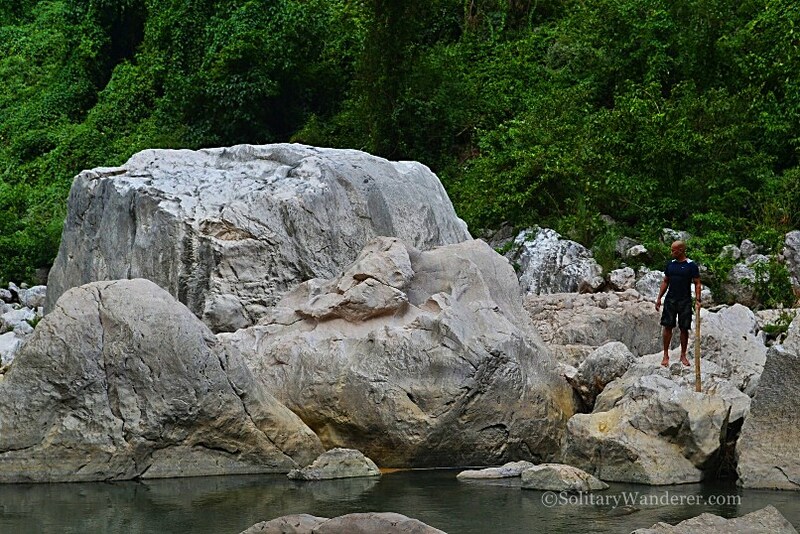 Where can you go whitewater rafting, aka “shooting the rapids,” in the Philippines? There are two well-known sites: Chico River in Cagayan Valley (Luzon) and the Cagayan de Oro River in umm…Cagayan de Oro (Mindanao). Both are target destinations by adventure travelers, as the rivers had different difficulty levels and enough exciting rapids to make the travel there worth it. 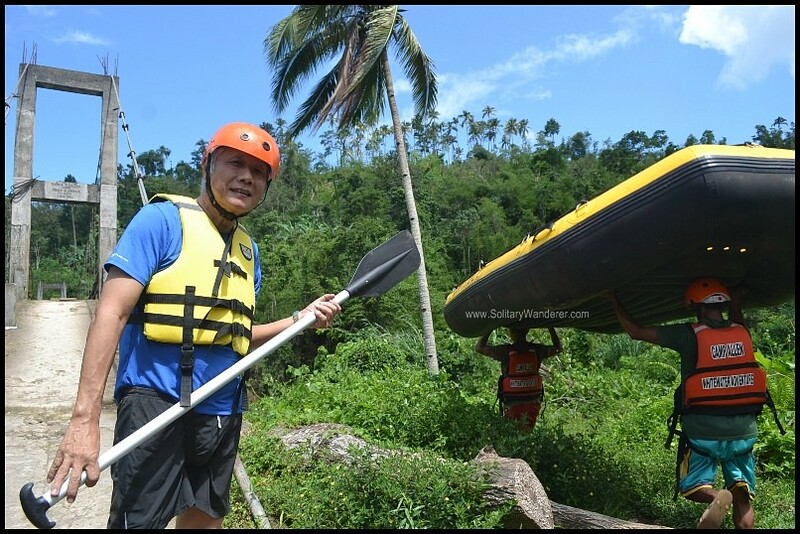 I was very glad to learn, then, that there’s now a nearer option for Manila residents: whitewater rafting in Laguna, around three hours from Manila. 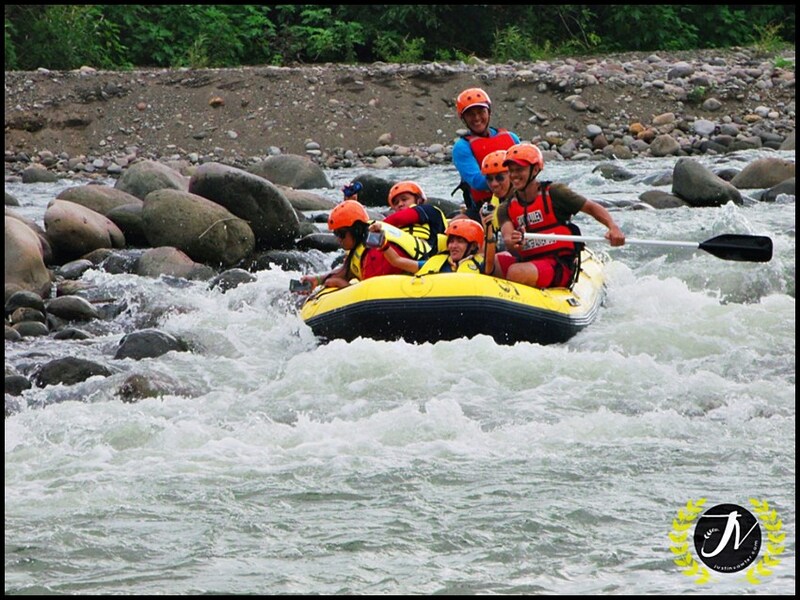 The 10km-long river running from the town of Majayjay to Magdalena takes around two hours to ride. It’s said to have a grade of III, with enough rapids to make it exciting without it being dangerous. When our boat bumped into a rock, I fell off the raft and went under, surfacing a few meters away with my earrings and my sunglasses intact. I hung on tightly to a boulder, moving forward only a few inches at a time until one of the trained boat guides could reach for my hand. I wasn’t scared; in fact, I remembered laughing while holding on to the rock. My friends on the boat and even the guides looked quite worried; they said they heard my helmet hit some rocks. I assured them I was fine; I loved the feeling of back diving (even if it was unintended in the first place), and I was glad that the helmet provided by Camp Allen was of good quality. I couldn’t believe how strong the current was. The river was shallow, yes, but so fast moving that, if I didn’t hold on the rocks, I would have been carried away in just seconds. My friends, who never fell off the raft themselves, later got to appreciate firsthand the river’s power. Our boat almost capsized when it got trapped between huge rocks. Another raft bumped into ours, and we all had to get off to free our boat. If not for our guides’ strength and agility in the fast-moving water, we would all have been carried away. As it was, the only casualty was my Teva athletic sandals. Its soles couldn’t resist the water’s pressure the second time. The soles were almost ripped off completely; leaving only one strap still attached. If not for that lone remaining strap, I would have had to buy a pair of slippers somewhere in order to get home shod. Thankfully, my DSLR camera was spared. I brought along my waterproof backpack and it kept my Nikon + two other cameras dry despite being completely submerged underwater more than once. The whole rafting activity took just over two hours. We navigated 21 rapids, stopped at one point to swim in the deep and still waters (I couldn’t wait to take off my vest and just float there! 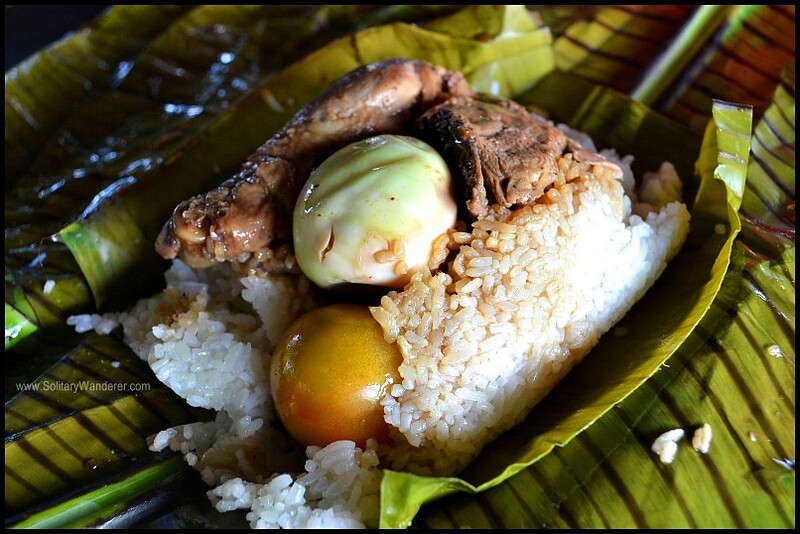 ), and finally arrived at Camp 2, where we were served a hefty lunch of rice and adobong chicken with egg and tomatoes. I don’t know why it was just our boat which experienced (mis)adventures. I was the only one who fell off (yay!) and the others didn’t even have to get off the boat. However, I was glad for it; it made the activity all the more exciting and memorable. 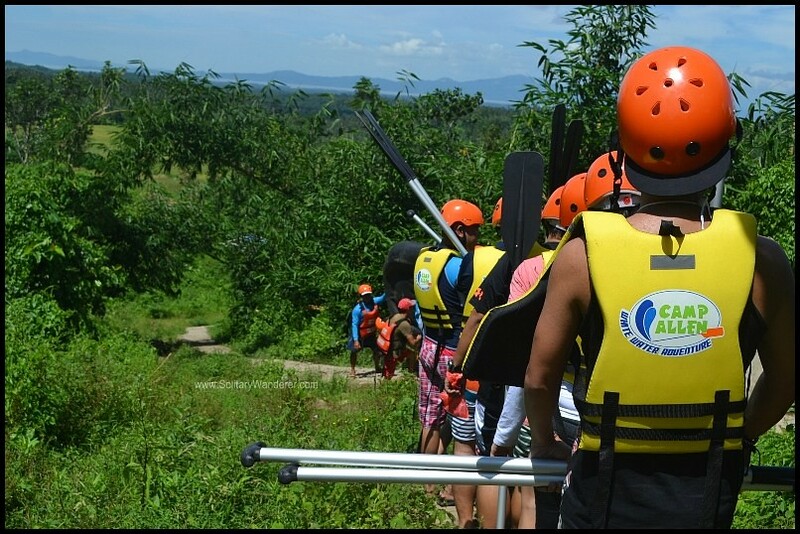 According to Camp Allen, the company managing the rafting activity, anyone (except children) can go whitewater rafting in Laguna. Swimming skills are not necessary as life vests and helmets are provided. However, just dropping in at Camp Allen in Sta. Cruz is not recommended. Prior arrangements must be made beforehand, especially because a minimum of six people are needed. This activity is best for a group of friends looking to have a memorable adventure activity outdoors. If you’re a group of six or more people, you can either directly contact Camp Allen (P2,500/person) or get in touch with Great Sights Travel and Tours (P5,000/person) in Manila. The rates are inclusive of lunch, trained guides, and all the necessary equipment. 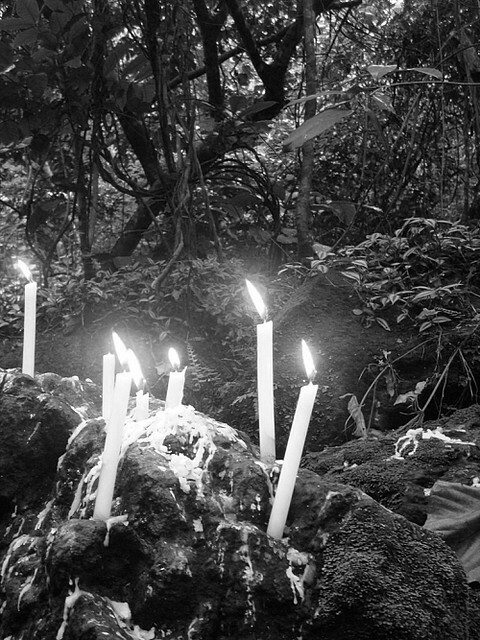 The price by Great Sights includes transportation from and to Manila. Camp Allen provides good quality equipment. Benny Copok from Camp Allen went rafting with us. The rates also include transfer to the jump off in Majayjay. You will be given life jackets and helmets which you would have to carry in the walk to the river. Benny Copok, Camp Allen managing director, paid for the construction of the concrete pathway to the river (around one kilometer). It not only made it easy for their customers, the locals also benefited from it. The group walked for one kilometer down to the river. If you want to commute, take the bus bound for Sta. Cruz from either the Buendia or Cubao terminals. The bus passes by Camp Allen. If you have arranged a transfer with them, get off there, otherwise, take a jeepney to Majayjay. A change of clothes. It would be best to wear a pair of shorts when rafting, although leggings will also do. Toiletries. You can take a shower at Camp 2, where you will have lunch. Sandals with straps. You may not be able to hold on to your ordinary rubber slippers if/when your boat capsizes. Our experienced guides gearing up. Watch the video below (unfortunately not ours, as I don’t have a GoPro) to get an idea of what it’s like to go whitewater rafting in Laguna. 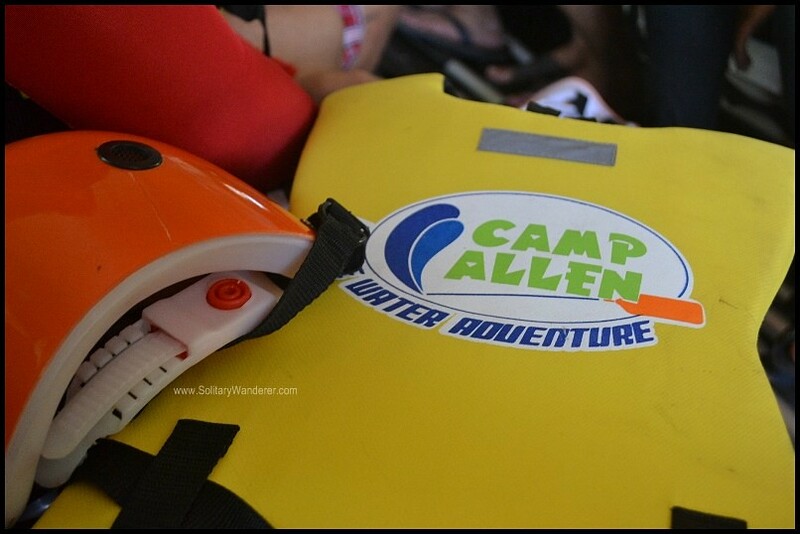 Many thanks to Camp Allen and Great Sights for inviting me and other bloggers to try out this activity! Also my thanks to Clarissa Tubeo and Justin Vawter for the use of their photos. 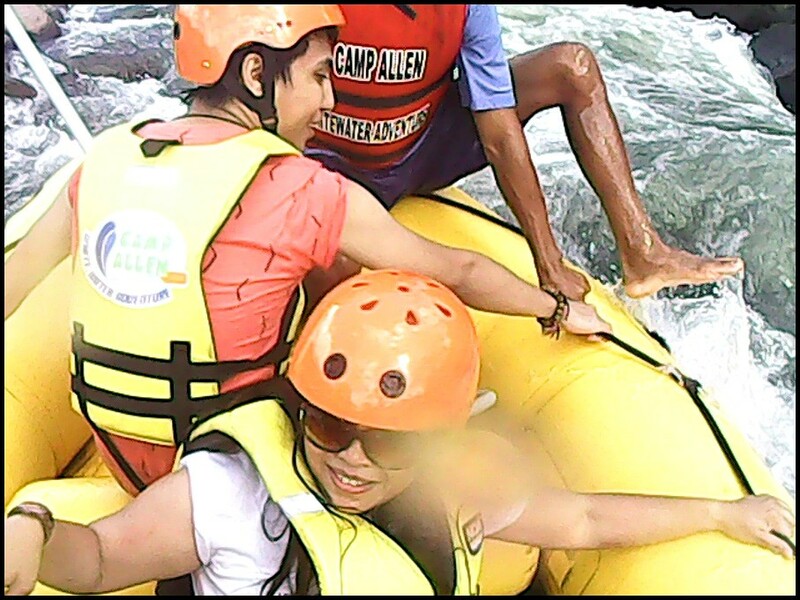 Rafting is an experience.. adrenaline rush! Thank you for sharing..
It’s good to hear about the DSLR. A water proof backpack could prove essential in a case like this one. 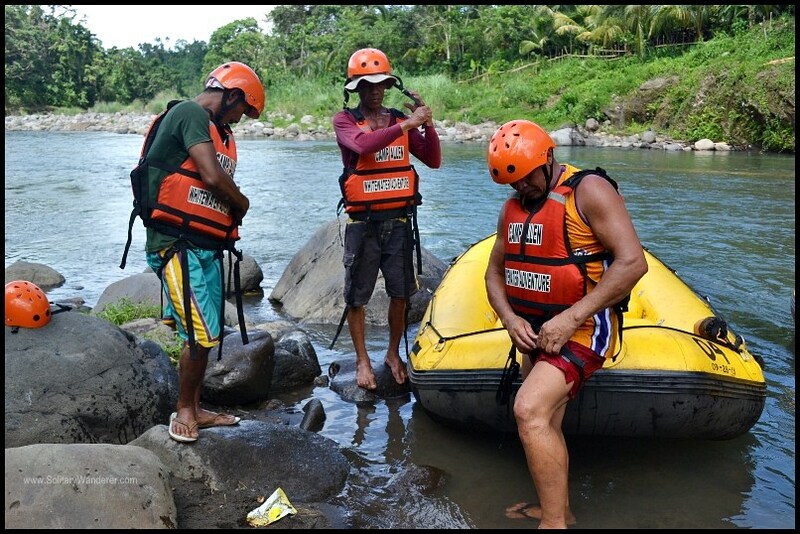 Whitewater rafting is a great thing to do, I’ve been in Cagayan de Oro before and tried their river rafting and it was a great experience I can never forget. When I see posts about rafting thing, it urged me to go back. I’ve been there in Laguna also and my experience is also good. 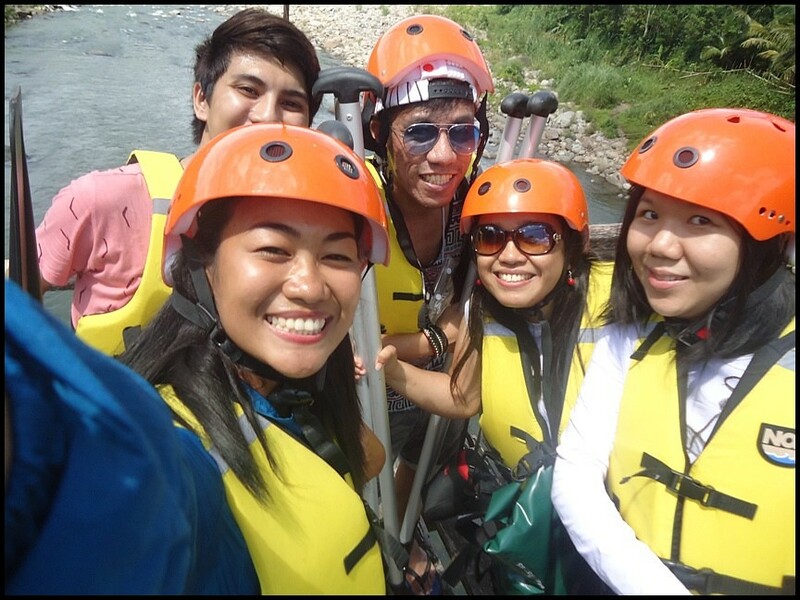 I really love rafting adventure, hope to explore more rafting in the Philippines. It’s surely something one has to experience at least once in a lifetime. Although I thought that the price was high, am glad someone else thought so. I’ve been away from the country for a long time that I have no more gauge on the cost of living back home. There’s actually a cheaper one in the area offering almost the same thing. Theirs is a shorter ride though, but the difference in fee is a lot. Medyo mahal even with transpo, but I hope they get a lot of clients and bring the price down soon. Yeah, 5k per person is a bit steep. But 2,500 is I think okay for the experience. For the P2500, does it include some transfer from some designated place (in Laguna) or it would mean going to the site directly? Hey Jayce! Merry Christmas! That’s actually going direct to the site. Pretty steep, I know. White water rafting fan over here. This looks promising! By that, I mean, looks thrilling based on your photos. We Manilenos don’t have to venture far to Cagayan or to CDO, too. 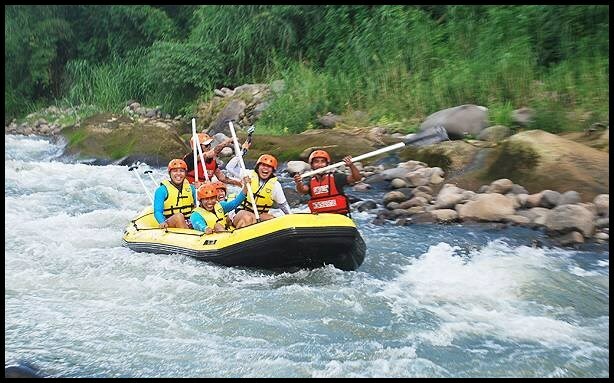 Though I’ve never had a rafting experience as exciting as in CDO. I wonder if they run the rafting all-year? Or just in the monsoon season when water levels are high enough? Hey Paul. Yes, they have it all year round. Even when it’s not monsoon season, it’s still a good experience to raft there, as the challenge won’t be deep waters but navigating the big boulders on the river. Try this out!